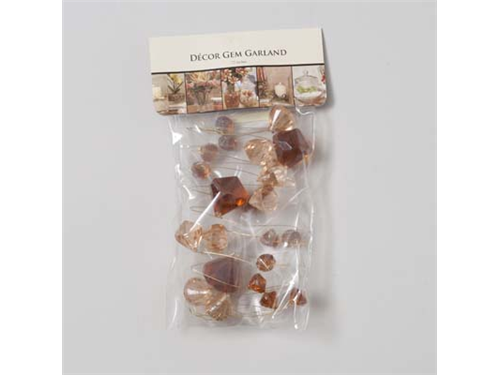 Décor Gem Garland – 72”. Available in Asst Colors. Can supply breakdown of colors upon request. Packaging: Polybag Carded. Case pack: 24.